Three episodes into this half-season of The Walking Dead and our survivors are still in smaller groups. I’m digging the multiple storylines that this state of affairs has led to and it has managed to make it a little more interesting. The addition of Abraham, Rosita, and Eugene is also a big revelation, as it will prove to be a catalyst for future stories. First of all: red flack number 1 should be that a man as “genius” as Eugene shouldn’t be sporting a mullet. Though, I’ll give everyone a pass that believes him, on the account that Bill Gates walks around with the haircut he does. However, Eugene’s brain function seems a touch higher than Simple Jack and if he doesn’t know how to fire a gun, he could’ve just called for help. 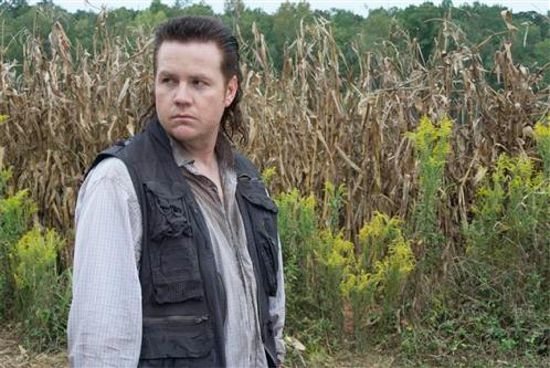 Now, I’ve read the books so I know about Eugene’s character, but I think they went a little bit overboard with this idiot savant route that they started him off with. No way, in real life, does a guy like Abraham take a guy like Eugene at his word. Especially not when that means traveling across the country because he has the key to “save the world”. Nowhere in the Zombie Survival Handbook does it say a skintight tank top and short-shorts are inappropriate when the dead start to walk the Earth, so Rosita basically took that to mean that every day is Casual Friday. But hey, if you got it, flaunt it. No one seems to be complaining about Abraham’s rednecky choice of a wife beater or Eugene’s questionable haircut and cargo shorts. Rosita’s hotness cannot be contained by more practical means. She’s Latina; you guys just wouldn’t understand. Plus, it’s probably hot. This episode is probably pretty light on the life lessons this episode. 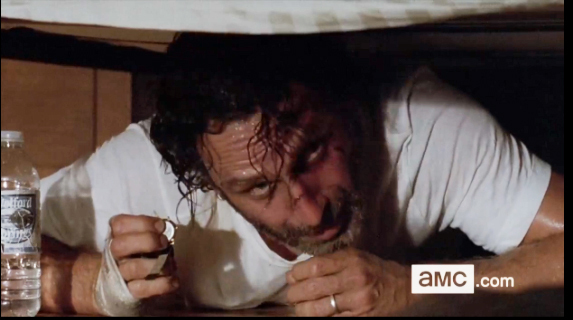 Seeing as how one of the main characters spends a lot of time hiding under a bed, it makes a lot of sense. 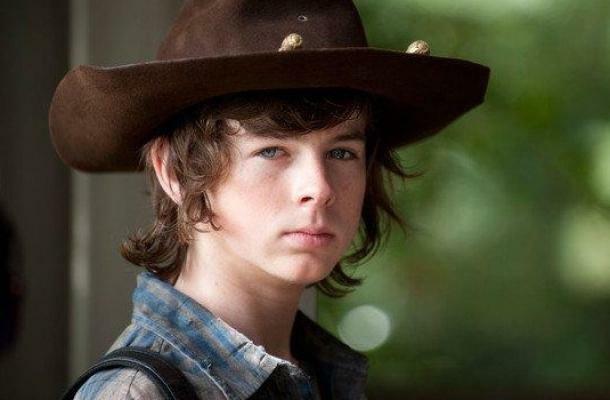 And while most of the Michonne-Carl storyline is there to pad out the hour, we do get a sense of what Carl thinks about food allergies and vegans. You’d think beggars wouldn’t be choosey, seeing as how, during the zombie apocalypse they haven’t come across a single cow (even when they spent an entire season on a farm). Carl has principles and that means shitting all over soy milk, even if it means creating an uncomfortable situation by joking about his baby sister, whom he thinks is up in baby heaven.